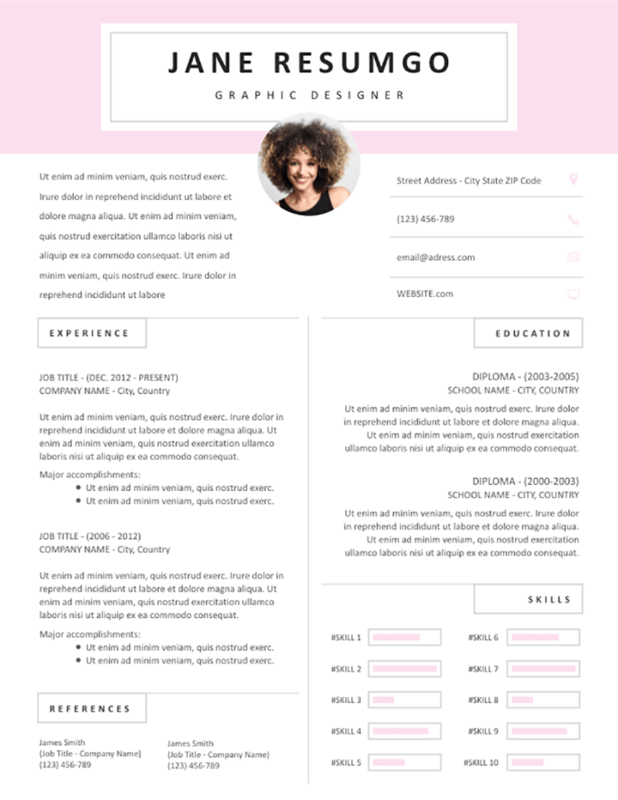 Sotiria is a free elegant pink resume featuring a massive header. Clean 2-column structure layout on a white background. A full-width pink header sets the tone of this feminine resume template. Your name and current job title are displayed in a white rectangle with a fine gray border. An intermediate horizontal part, also quite prominent, draws attention to your profile/objective statement, and contact information. Then, a perfectly balanced 2-column layout highlights your experience and education path. Your skills are described via beautiful and modern bar charts.